This may sound frustrating to some entrepreneurs since it’s probably not their case. Sometimes entrepreneurs will need to “create” an Executive team as skilled as they can along the way, even if that Executive team is not the founding team. Building a top-level Executive team is the most important job of an entrepreneur. 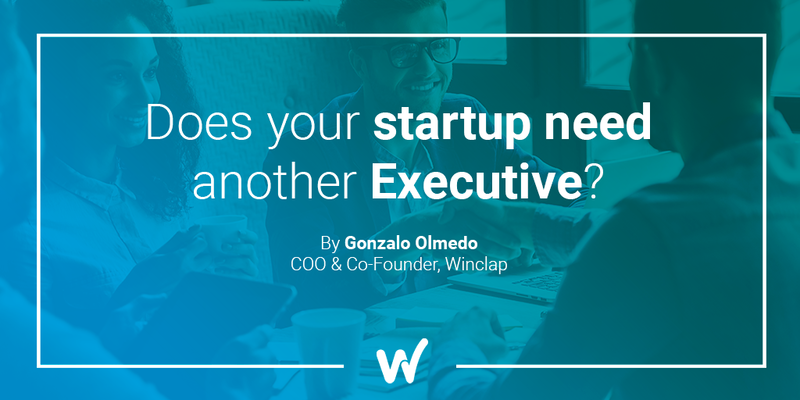 Sales, building the product, raising capital and networking are key pillars for building a successful business, but nothing will impact the startup’s long-term value as having the right (or wrong) Executive team. Mariano and I founded Winclap both with a strong business-oriented mindset, but with very different personalities and skills. Mariano is an inspiring leader, clearly oriented to sales, communication, and culture. In comparison, I am oriented towards the product, strategic thinking, management, long-term vision and company values. Our goal was to build the largest possible company by adding transparency to the Digital Marketing landscape through technology, but neither of us had any technological background. At that time we lacked the capacity of managing the business side of the company and a top-level CTO. That’s why we started by bringing in brilliant developers that weren’t part of the executive team, and I focused on helping them build the right product at the right time. SHARE #1: Know your strengths and weaknesses. Understanding in which areas you outperform, and in which areas you don’t is critical to build the right Executive team. Be humble, analytical and brave to understand where you should add someone that is much better than you are and convince him or her to join your venture. Both Mariano and I are generalist. We don’t feel comfortable when focusing on a single subject and getting into the details that make the value-creating process outstanding. This is really helpful for articulating a long-term vision, product, and sales, but not so much for executing a world-class customer service team, for example. Before adding our CFO, we knew we needed somebody that had a more detailed oriented mindset and could step up our finance and operations team. Now that we need to revamp our Product team, we all agreed that neither Mariano, Pedro or me are fit to lead and inspire a world-class team of developers building a SaaS to compete with much better-funded companies than we are. That is why we are in the search for a world class CTO. SHARE #2: Share the same core values and ambition. Successful founding teams share a unique essence, a common spirit that drives their passion, grit and the decisions they will take in the long term. When searching for a new executive, you should be able to quickly detect if he or she shares that passion, that drive that is inherent within the current executive team. Almost 2 years ago, we decided to add a CFO to our executive team. Pedro and I had been friends since we were young, and I knew that he was the kind of guy I would love to work with every day, that would push my limits to new boundaries. After Mariano met Pedro and confirmed that we shared the same passion, ambition, and values, we knew it was the moment to bring him in. SHARE #3: Share harsh and real experiences. Adding a new Executive can be hard for the rest of the team. People may feel that their career plan will be affected, or that a lot of things will change. But it is also an opportunity for people that want to stand out and adapt to much-needed change within any organization. Transparent and fair communication is the key here. Tell the truth, plain and simple. In our case, part of the Engineering team has been with us since day 1. This is a brilliant technical team that has built the product that brought us here. When we decided to find a CTO, we had some concerns. First, the team probably expected that we should promote one of them as CTO. Second, the team was used to report to one of the founders (me), and having a new boss could raise conflicts. When we communicated our decision, the team took it excellent. They raised their concerns and doubts, but transparent communication ensured them that there weren’t any hidden plans and that we had decided on the better of the company and for them as a team. Telling the truth, even when it is hard or difficult is always the best alternative in the long run. If we had started our search for a CTO without telling them, they would have probably heard it from someone else, and then we wouldn’t be able to leverage from their network to meet more candidates. Building a top-level executive team needs a high level of competence, hard work, luck, and humility. But, as data shows, startup success is directly tied to having the right executive team. Building it should be the number 1 priority of the founding team. This is where we are standing today. 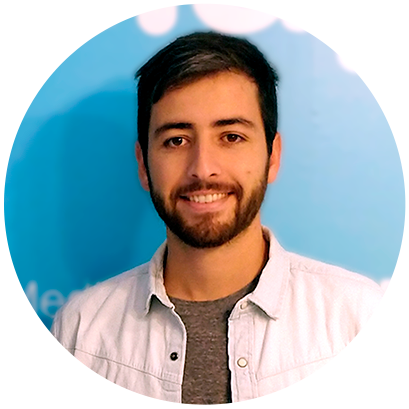 We are a growing startup working for the largest companies in Latin America. We have an outstanding team, fully committed to the long-term goals of the company. We are humbled by the support of some of the most important investors in Argentina. And we know that we need to add extra talented people to join us in this venture for generating the largest impact possible. Leading our industry needs the best talent in big data for marketing decision making, machine learning and AI. Since we do want to be the best, we need an expert leader with the power and the skills to take the product decisions that will take us to the next level, and inspire to lead an industry. Building a successful company that leads any industry needs the best talent in the most important positions (The Firm of the Future, Bain&Co). That is why our priority was, is and will be to build the best Executive team we can.